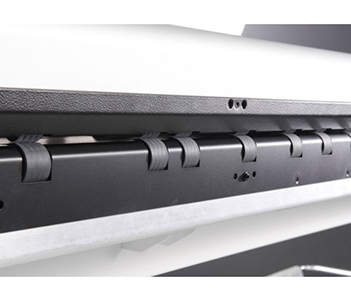 The wide format scanner ROWE Scan 850i with its 6 models and future-proof technology stands for unbelievable innovation, productivity and numerous patents. Take a look at this brochure for a glimpse of the technical highlights and unique features. We'd like to invite you to experience the fascination of ROWE. Simply make an appointment with us for a LIVE presentation at the ROWE customer center and a visit to the production. We look forward to welcoming you! You want to protect your valuable documents in the best way during the scan? 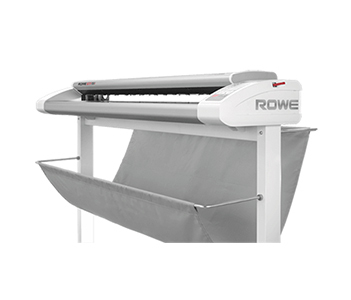 The media transport technology, a new development by ROWE, immediately ensures that even old, torn or extremely wavy originals are transported in the best possible way and protected. Simply safe – typical ROWE. SuperSpeed USB 3. The result: data throughput increases up to 1000% compared to HighSpeed USB 2! Of course, the ROWE Scan 850i still supports HighSpeed USB 2. Especially high quality materials and exceptional workmanship guarantee exceptional durability. Lowest scan glass wear - maximum protection for the documents With the new ROWE SAFE DRIVE the ROWE Scan 850i achieves up to 500% longer life-cycle of the scan glass compared to standard scanners. Max Scan Width 44" 55" 60"
DOCUMENT IMPROVEMENT SYSTEM - DIS All changes can be done after scanning. No rescanning required. Any changes made will be immediately displayed in the viewer.